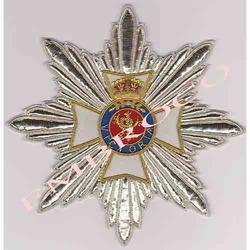 Our range of products include Insignia Badges such as Breast Star and Embroidered Breast Star. These are manufactured by our skilled professionals. We are manufacture, supplier and exporter of Breast Star. We are the supplier and exporter of excellent range of Breast Star. We offer our range of products in different sizes, designs and models, which can be customized as per the requirements of ours clients. Our offered star is processed using the best quality as per the set industry norms under the supervision of experienced professionals. We are the manufacturer and supplier of wide range of Embroidered Breast Star. We therefore make an array of embroidered, fabricated from superior quality raw fabrics. 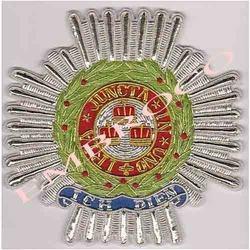 Our company is one of the eminent name for excellent quality range of Embroidery Stars for all our customers spread worldwide. The star come in sophisticated designs and give a mature look on the wearer. Looking for Insignia Badge ?